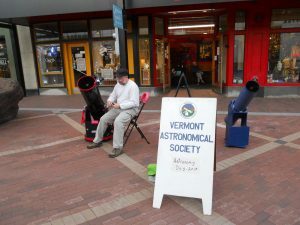 The Vermont Astronomical Society is a group of amateur astronomers with varying backgrounds and levels of expertise whose mission is to promote amateur astronomy in Vermont. We are located in the Burlington, Vermont area with monthly meetings in Essex Junction and an observatory in Hinesburg. 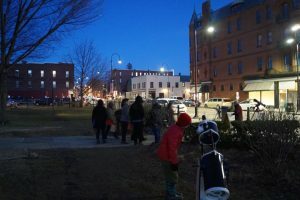 Anyone with even a casual interest in observing the night sky or the Sun are invited to attend our monthly meetings (click here for upcoming topics), which are free and open to the public. 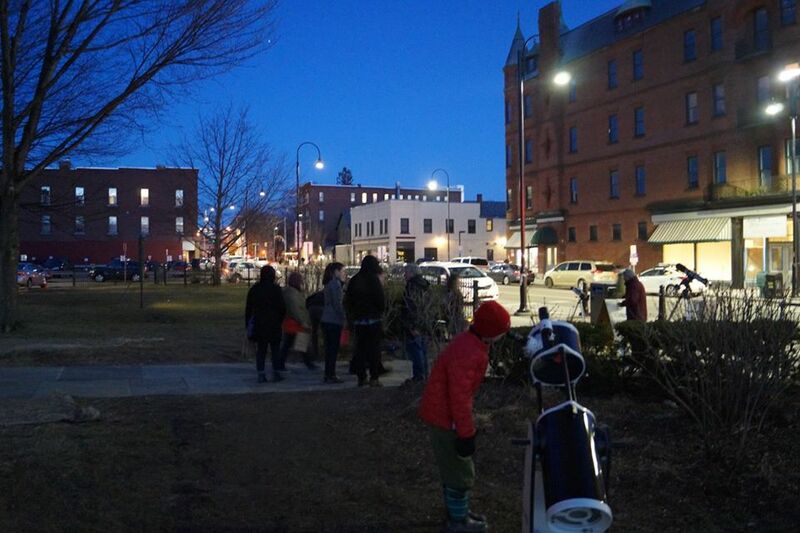 We also host many public observing events throughout the year (click here to see the current schedule of public events). We have experienced members who can help you get started in astronomy or improve your skills in your particular area of interest. 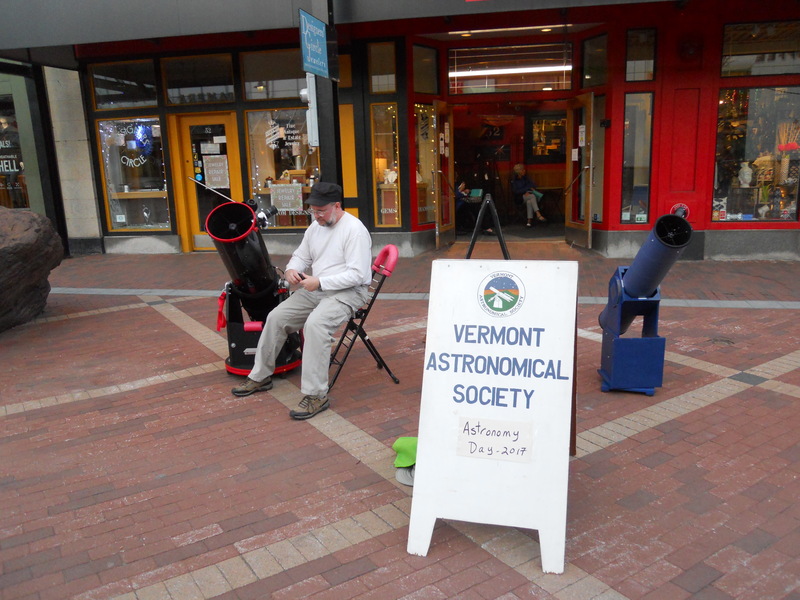 The Vermont Astronomical Society can help you with most any aspect in amateur astronomy, be it visual observations, astro-imaging or public outreach and education. For the latest updates on what we’re doing and where we’ll be, Like us on Facebook or follow us on Twitter!